As mentioned above for some services the service providers should be contacted before closing in order to make sure services like power, water, and internet are switched over to the new owners name in time for when they need to move in. With some companies a call should be made at least a couple of days before so that they have enough time to process the change in names of who will be paying for the bill. This is especially important for the electric, gas and water bill as many sellers will request the service be taken out of their name as soon as closing day in order to not spend any extra money than they have to. If the home being purchased has a sump pump the lack of power can cause water backup in the basement which will end up in a big mess for the new homeowners to take care of. The home sellers are not expected to maintain the power on a home after closing day so the new owner needs to make sure it is done. If the weather is extremely cold when the transfer of ownership is to take place another issue that could result if the power is not switched over fast enough are frozen water pipes that burst. When the heat is inevitable turned back on and those frozen pipes begin to thaw they will leak and cause further damage if not contained immediately. In the hot summer months there is not that much concern if the air conditioner is not running for a day or so but the power should not be kept off for too long as the air conditioning does also help to keep the humidity down in a home. High humidity can lead to mold problems if it is not controlled. As a result electric and gas should always be turned on by the new homeowners as soon as a possible starting the day of closing. In many areas electric service is provided by a private company which new homeowners should contact for the changeover of service. Switching over power is not always quick and sometimes the power company will need to come and physically shut off the power at the exterior of the house for safety reasons when the prior owner requests it be taken out of their name. As a result in order to get the power turned back on a technician has to come out and physically turn on the power to the house which as one can imagine could take a few days. In many areas electric competition allows the homeowner to choose the company that will actually provide the electricity. Homeowners will still be paying one company who actually maintains the physical lines so there may be two parts to an electric bill or more than one bill for it. It is always best to compare the cost per kilowatt hour (abbreviated kWh) between different companies to see how much you will be paying for electricity. Beware of companies with teaser rates that promise you low rates to start off with but then shift you to higher rates after a while and then hope the homeowner forgets to look at their bill when the rates do go up. If a home has a gas stove or a gas powered furnace then gas service will be needed as well. Often times the same company who is providing the electrical service will also be the one to provide gas service. Depending on the area there may be competition for gas providers but the homeowner will still be paying part of their bill to the company responsible for maintaining the gas lines. 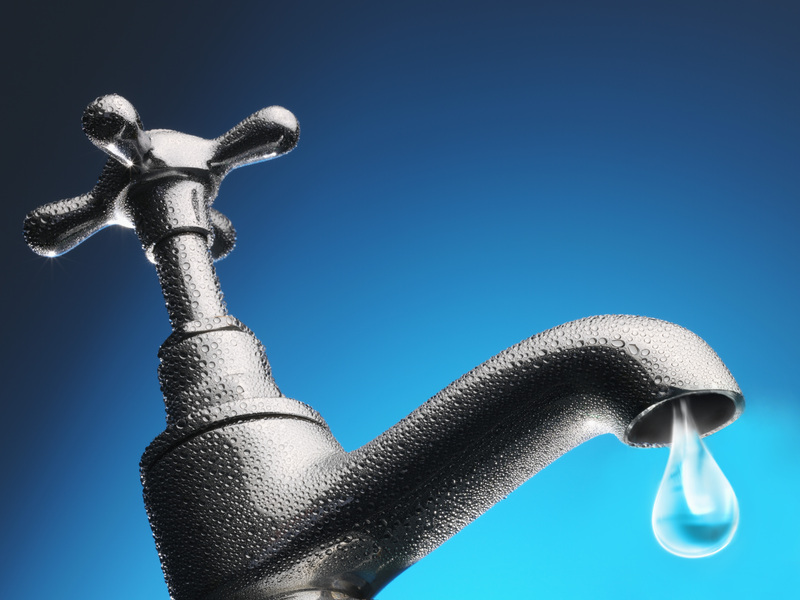 turned on if it has been shut off so new homeowners should be contacting the water department prior to closing to make sure the water has been put into their name to avoid interruption in service. Sometimes high speed internet and pay TV services go hand in hand so the company chosen to provide high speed internet also can provide homeowners with pay TV services. For those who have cut the cord for pay TV services then the primary consideration is which internet provider can provide the best speeds at the lowest rates. Often times the internet and pay TV companies will offer great introductory rates for new customers that last anywhere from six months to a year and then after that the rates can increase significantly. The things to pay attention to with pay TV and high speed internet is what rates are they offering, what sorts of service bundles (TV, phone, alarm) are they pushing and how long do those low rates last? Before signing on with a service it may be helpful to ask the local neighbors what service have they been using and how do they like the company they are using. The local neighbors can even help provide contact info for local representatives who can help setup the service. Trash service is another important service that should be setup as soon as possible as the process of moving in produces quite a bit of trash as items broken from a move or the packing materials needs to be disposed of. In some areas trash service is provided through property taxes paid to local governments. 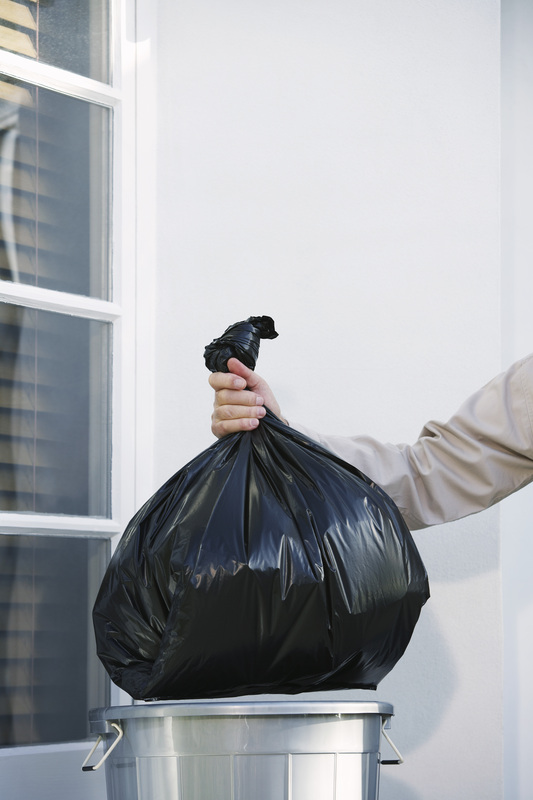 In other areas homeowners need to contact private companies to find out when local trash pickup and pay for regular service. Most items that can fit within standard trash cans can be disposed of with no issues. Certain large items sometimes require an advance call ahead to the trash company to make sure it is something they will pick-up along with the directions for preparing those large items for disposal. Find out which items are not legal to dispose of in the regular trash as in some areas disposing of items such as old gasoline, old motor oil, wet paint and more may be illegal. Those items instead may need to be dropped off at special locations so that they can be disposed of properly without contamination to the local environment. Whereas in the past home security services required the use of a landline, with people increasingly having dropped their land lines due to cell phones most alarm companies also do not require a landline. Home security companies these days use the home’s internet connection or cellular backup. Many alarm systems also no longer need the extensive in wall wiring to secure a home as many come with alarm sensors that are easily installed by the homeowner. Once the alarm has been installed and service setup homeowners can monitor and control many of these systems from their smartphone from anywhere there is an internet connection. Local alarm companies may have more customized setups for homeowners for those who desire it, but most of the internet based alarm companies also provide reliable security systems that are quite cost effective. Generally many of the services such as water, gas, electricity, internet, trash are provided by different companies. The same company may provide gas and electric or the homeowner may pay for them on one bill but for most other services there are a variety of companies offering services. Therefore new homeowners will be making a couple of calls to the various companies to set up those services. Any service or individual promising to setup services for you is not necessarily going to get the best rate for you and may even be steering you into high rate services due to their making a commission on the service setup. Some of these service setup companies even encourage their recruits to talk to their family and friends to sign up with one or another service through them promising savings. While there may be some up front savings once those run out the homeowner will quickly find themselves with higher rates and sometimes even being locked into the higher rate due to contracts they signed because they trusted a “friend”. Generally it will always be better for a homeowner to contact the local service providers directly and setup the service without using any middle person. Once you have bought a home the things to do don’t stop at the closing table. Even prior to closing the new homeowner should be getting the important services setup for their home and arranging for any others quickly after closing. Always compare rates and be a little skeptical of those promising to do everything for you since then you will most likely end up paying more. This is not an all inclusive list and there are more service providers than listed above. Consult Google or your favorite search engine to find more companies. 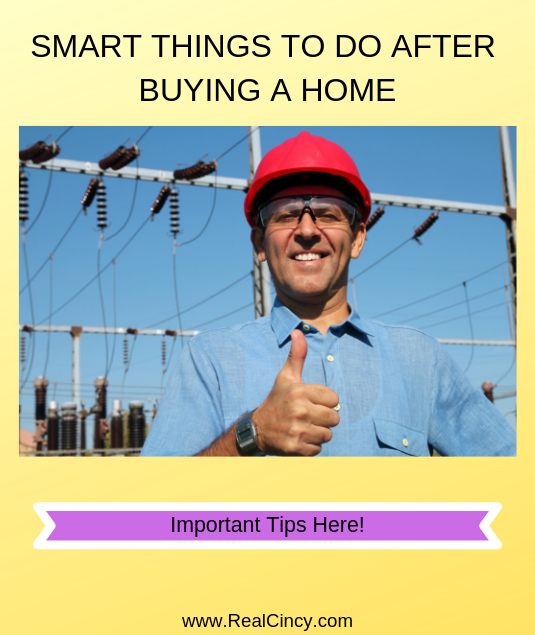 About the author: The above article “Smart Things To Do After Buying A Home” was provided by Luxury Real Estate Specialist Paul Sian. Paul can be reached at paul@CinciNKYRealEstate.com or by phone at 513-560-8002. If you’re thinking of selling or buying your investment or commercial business property I would love to share my marketing knowledge and expertise to help you. Contact me today!